Lawrence D. Jacobs, MD is board certified in cardiology, echocardiography and nuclear cardiology. 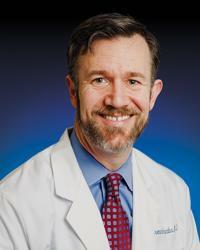 He has been named a fellow of the American College of Cardiology, based on outstanding professional achievement. His interests include hypertension, high cholesterol, coronary artery disease, heart failure, preventative cardiology, heart valve disorders, nuclear stress testing, echocardiography, preoperative evaluations, transesophageal echocardiography, vascular disease, arrhythmias and atrial fibrillation. His primary focus is the medical therapy of various cardiovascular disorders. This starts with prevention through healthy lifestyle recommendations and medications, when necessary. He strives to efficiently diagnose and treat patients’ symptoms, using proven, evidence-based approaches. Dr. Jacobs’ feels it is imperative to treat the patient and not just the disease. He aims to educate patients while improving their health, because patients who understand their disease will have less anxiety and are far more likely to succeed in becoming and remaining healthy in the long run.